“Road works due to start on the Hagley Road” is probably not the headline most drivers want to read at the moment, given the months of delays caused by the reconfiguration of the Kings Head junction, and the seemingly endless issues with the traffic lights at the Wolverhampton Road. But Abbey Ward councillors believe the work due to start next week on the junction with Galton Road near The Dog is something which should really be welcomed. 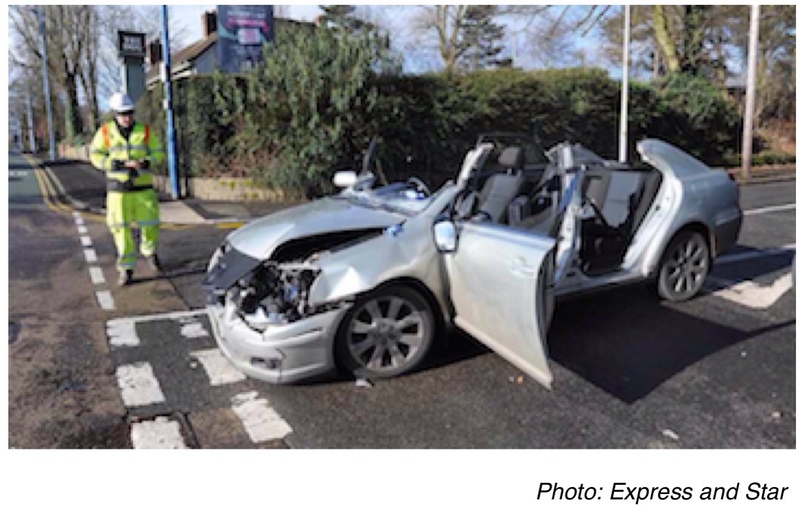 In the last five years there have been 17 road traffic accidents at that junction, five of them serious, resulting in 21 people suffering injuries. The accidents are often caused by people trying to cross the dual carriageway in to Galton Road and are unable to see clearly in to the bus lane when the main carriageway is congested, but also by traffic pulling out of Galton Road not realising the speed of oncoming vehicles. I am 57 i remember the road being built as a child. It has been a blackspot for at least 45 years. What makes you think they will do anything now? Close the road – make it a cul de sac. close the gap in the dual carriageway, problem solved, countless lives saved, hours of delays and expense saved. Cost would be recouped within 4-5 years. Hopefully,maher, with entry and exit controlled by traffic lights it will massively reduce the potential for accidents, and minimise any delays. Speed cameras don’t work drivers speed between them and they are seen as a revenue grabber, bus lane cameras seem to deter people in London maybe consider those the bus lane down that road is used as a bypass round any queues. The new lights need to be timed correctly or its going to form a big choke point at rush hours particularly with the pedestrian crossing so close. Lights at this junction (if synced correcly) are a great idea. lets hope the work is done better that at the Wolverhapton road junction (why no visible right turn light on the other side of the road when crossing the junction) or at Beatwood Road / Hagley Rd where drivers turning left from Harbourne on a green light can now quickly be confronted by a red pedestrian light… confusing and dangerous IMHO. Thought the same myself. Needs looking at… As does Wolverhampton Road. There is an important point raised here about turning the corner on green to then be faced with people crossing on a green man. Apparently, this is now standard practice in Birmingham and the lights at both the Kings Head and Wolverhampton Road are Birmingham lights. This arrangement at traffic lights is not used in Sandwell. The new lights at the junction of Galton Road are Sandwell lights, so we won’t have that problem with the crossing. Just as an aside, we will be putting a sign in Bearwood Road advising drivers turning that they may encounter pedestrians. We’ve suggested to Birmingham that they might want to do the same in Lordswood Road, but that is up to them.